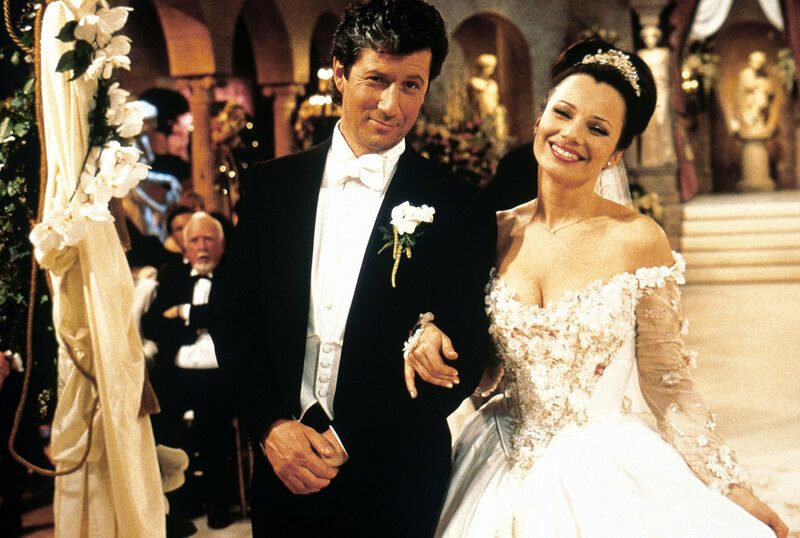 The Nanny (HQ). . HD Wallpaper and background images in the The Nanny club tagged: the nanny fran drescher fran hq episode stills maxwell charles shaughnessy. This The Nanny photo contains bridesmaid and maid of honor. There might also be bridal gown, wedding gown, wedding dress, and gown.